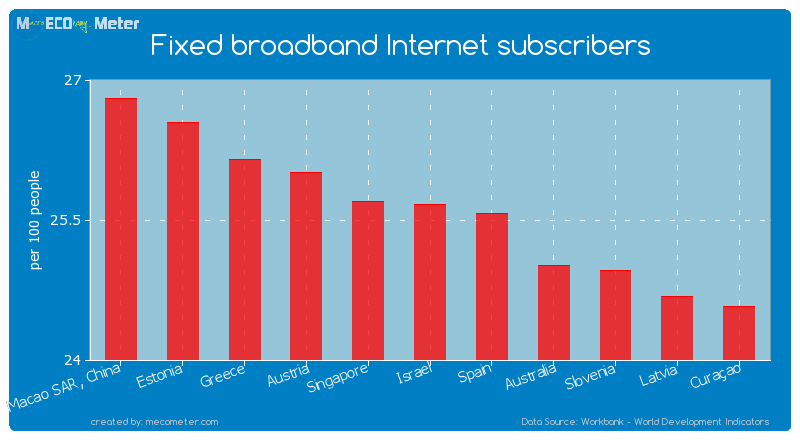 Value & RankThe Fixed broadband Internet subscribers of Israel is 25.7 (per 100 people) with a global rank of 33. 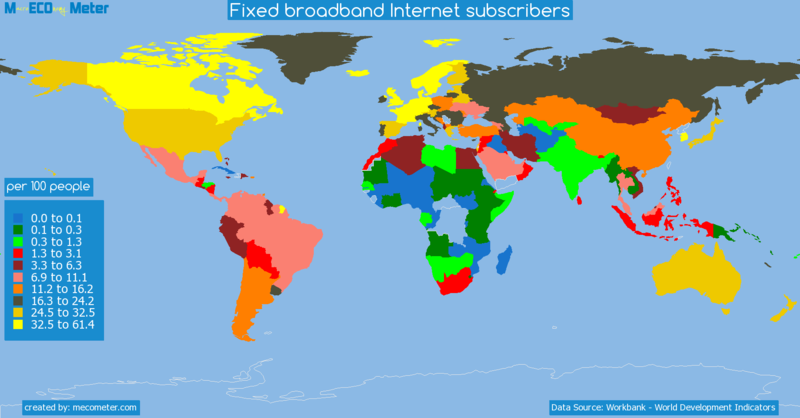 Israel compared to other CountriesThe Fixed broadband Internet subscribers of Israel is similar to that of Macao SAR, China, Estonia, Greece, Austria, Singapore, Spain, Australia, Slovenia, Latvia, Curaçao with a respective Fixed broadband Internet subscribers of 26.8, 26.5, 26.2, 26.0, 25.7, 25.6, 25.0, 25.0, 24.7, 24.6 (per 100 people) and a global rank of 28, 29, 30, 31, 32, 34, 35, 36, 37, 38.10 years growthIsrael's Fixed broadband Internet subscribers had a positive growth of 157 (%) in the last 10 years from (2003 to 2013). 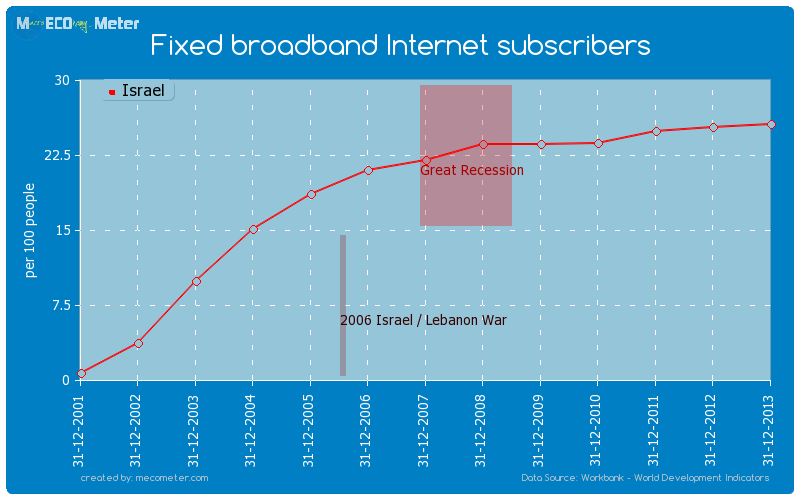 Last 10 years averageIsrael had an average Fixed broadband Internet subscribers of 21.3 (per 100 people) in the last 10 years from (2003 to 2013).